Mobile homes are sweeping the nation by storm. Whether you’re living in Malibu with the stars or on a quiet prairie field, mobile homes have reached families in various tiers of income. We believe this craze is due to the affordability and customizability that comes in mobile home production and design. Mobiles homes have defied the low expectations and stigma that have clung on for dear life since the 1970s. We have the HUD code along with other incentives that compel manufacturers to provide these quality homes. So with that in mind, we decided to cover the latest trends for mobile home interior design for 2019. What’s hot this year with mobile home interior design? Read on if you want to see what’s trending. Some things in mobile home interior design are timeless. Others change with time. Here’s what we’re seeing as the hottest trends for the year 2019. While there are many sink options, it’s the farm style sinks that are in this year. They’re known for being conducive to washing large pots and pans. The large open basin also provides an attractive aesthetic, providing a spacious and deep sink space. Farm sinks are also easier on the person washing dishes as the sink sits closer to the edge of the counter. This makes for less tension on the back and shoulders. A farm style sink is sure to be the talk of dinner guests. Say hello to the integration of technology in your mobile home. Pop up outlets are great for those kitchen areas where walls or other factors hamper outlet availability. These outlets can be set up smack dab in the middle of a counter. Don’t need the outlets? Push them down into the counter. Need them? They can pop out, no big deal. Another mobile home interior design move this year is the backsplash. No, the backsplash isn’t new. Rather, it’s the way the backsplash is designed with patterns and/or splashes of color for an eye-catching impression. To add to the latest trends, you’ll find designer vent hoods. Yes, that’s right! They make designer vent hoods which contribute to your mobile home’s interior aesthetic. You can get them made with wood or metal patterns. Take your pick. In 2019, you’ll find plenty of floor plans that work with the addition of a fireplace. Back then, a fireplace was a necessity. Today, a fireplace is not a necessity but a great way to cut back on your electric bill. Not only that, it’s a fantastic focal point for your living room. You can add decor for splashes of color and accents to the fireplace mantel. And who says a fireplace is just for the living room? Add it to your master bath for a romantic atmosphere — perfect for those nights you put the jacuzzi to good use. The mobile home interior design options for fireplaces are various. Whether you’re going for an elegant aesthetic or a sleek modern look, the choices are there. For the homeowner who cares for a large family or enjoys hosting, having plenty of pantry space can be quite the asset. It’s a good place to store those extra kitchen tools and bulk food purchases. 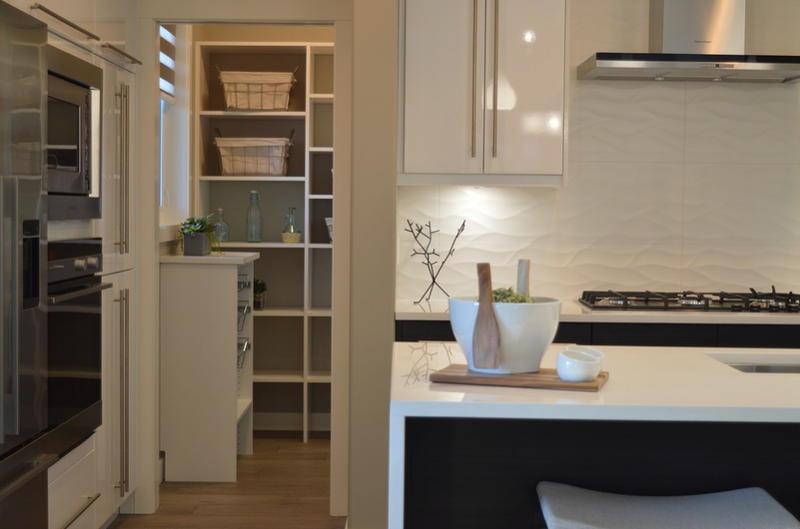 This year, having pantry space is in style for mobile home interior design. Are you shopping around for a brand new mobile home? We hope this list helps you keep an eye out for these trends. There are a plethora of mobile home blueprint designs to choose from. Keep these trends in mind. You may like some of them, you may dislike others. That’s the beauty of buying a mobile home. Design plans are customizable with most manufacturers. If you’re already the proud of owner of a mobile home, why not consider updating it? Now that you know what’s in, you can take care of your own remodels to keep up with the latest trends. You can install your own farm sink and backsplash if that suits you! The latest trends in mobile home interior design aren’t limited to the new! Better to sell or renovate? 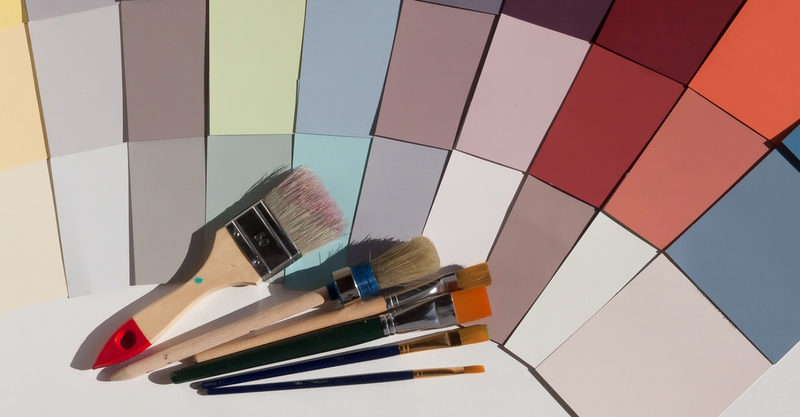 Speaking of renovations, are you sitting on the fence on whether you should renovate? To renovate or not to renovate, asks the mobile home owner. Is it better to sell or renovate your mobile home? In an effort to help you answer that question, we have some points for you to consider in the decision-making process.